There is an industrious, purposeful feeling about school at the moment. At least 4 out of our 7 year groups are preparing for and starting to sit exams. It is never an easy process; we often use a sporting analogy, likening it to preparing for a tournament with the need for preparation, training and duration of performance. Equally it is not always straightforward supporting a revising teenager but there are some key points to remember that are worth sharing at this time. In addition some are about the techniques of revising. This summary provides some of the key points and some useful links. Do take comfort in the fact that this term will fly by, and following some of these tips should make it slightly easier. Remember too: as important as it is to study and do as well as possible, it’s also essential you take frequent breaks and enjoy yourself. Having a good mindset and being relaxed will work wonders. Sleep: Having a consistent sleeping pattern is one of the most essential things for getting through the term. Under- and over-sleeping are as bad as each other, so aim for between eight and 10 hours. Working through the night and sacrificing sleep can be counterproductive. Diet: Food is also incredibly important, and maintaining a balanced diet will make you feel better and give you the right nutrients to work a little bit harder. Coldwater fish, such as tuna and salmon, are a rich source of amino acids, which improve brain chemical levels and your ability to revise efficiently. Organisation: Keeping your study area tidy, making lists and storing your documents in an orderly fashion will all help when revising for exams. There are countless articles about specific ways of doing this online (for example, here and here), so experiment until you find what works for you. Exercise: Exercising before an exam or before you start working has been shown to boost memory and brain power. 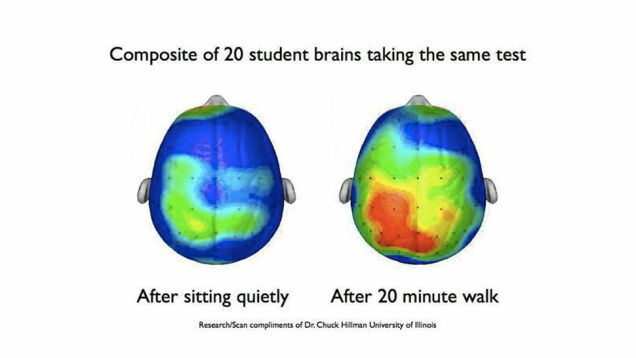 Even 20 minutes of activity, such as walking, can be beneficial. 1. Spaced Out. Spacing out revision to encompass different topics and subjects with different approaches makes the learning more memorable. Therefore when you construct the revision timetable aiming for this kind of variability is useful. 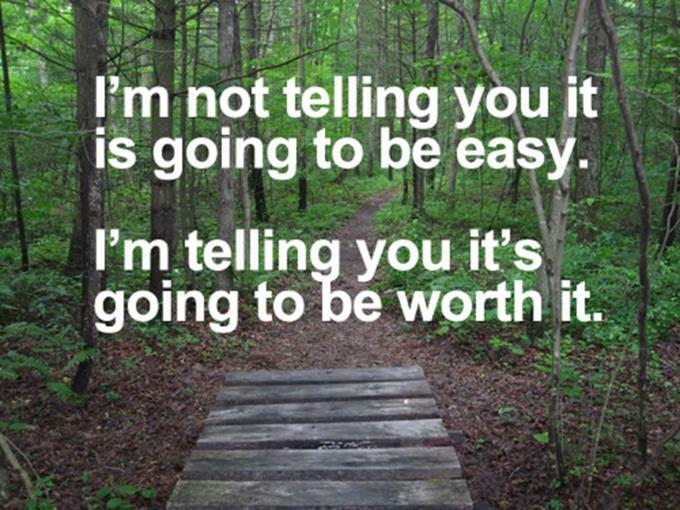 (www.getrevising.com does this for you). ‘Spacing‘ can also mean revising the same information two or three times across a few days improving the likelihood of retaining information in the long-term memory. 2. Mastery through deliberate practice. Repetition in revision is our friend. Making a checklist of the required knowledge focuses the energies on what is important. Make sure they are clear on the basic terms and key words, what they mean and how to sue them. When focusing on exam technique, drafting the perfect exam answer singularly is better than sitting full papers endlessly. Going over any body of knowledge takes grit, discipline and perseverance but it is through the deliberate practice with clear feedback that students become skilled. 3. Regular testing: Drilling answers to tests, under test conditions, can improve both short term and long term memory to boost revision. Quick and accurate feedback is key to making testing highly effective and building confidence. 4. Information retrieval over re-reading: It may prove more challenging in the short term, but getting students to try to remember the content of a given topic is more effective. It’s not effective to read your notes over and over, copy out notes or highlight bits of handouts. Flash cards can be effective and Mind Mapping is an ideal tool for this. At the end of each week for example, they can attempt to retrieve the information, without their notes or books. They can then create connections that they can attempt to organise conceptually. Active Engagement with the material is vital; some will prefer a hi-tech approach to this (making podcasts for example) for others a simple Look/Cover/Write approach is just as effective. 5. Collaborative Revision: Typically we associate revision activities as requiring individual focus. There is some evidence that group work can inhibit some learning, but there is also evidence that working in groups can have a positive effect. Put simply, they help one another remember and retrieve aspects they would not have remembered individually. Also, the social nature of working together can create memory cues that help individuals recall well over time. 6. Using ‘worked examples’: This is the common method of using past exemplars. It gives students a template for their revision. Students will have access to model answers from our VLE or revision notes staff have provided. This can be particularly effective when linked to point 2. The use of past paper questions is essential in revision, not just in terms of familiarity and use of mark schemes to test security of knowledge revised but often it is most effective to start with a test to ascertain what is known and what isn’t before then more accurately revising what is needed and retesting to confirm what they have gained. 7. Last minute cramming! Can be many students preferred way of working. This has prompted a recommended ‘exam a day’ approach, which forces students to distribute their revision more evenly, rather than just cramming. It may seem excessive, but getting students to do challenging retrieval that informs of what they know and don’t know regularly, like quizzes could do the job. “Palace of Memory” is a technique that is thousands of years old. See this article for an example of the method in action. Mnemonics are vital tools in most subjects, sharing them and posting them up (in the bathroom, near the kettle!) or frequent verbal testing of them can be helpful. Sounds and images to go with revision information can form mental images to go with the ideas that aid retention and create triggers for retrieval. Colours that correlate to specific assessment objectives are a good way of testing coverage of written answers to the requirements of a mark scheme. Highlighters and post its are therefore a valuable part of the revision toolkit. Talking about topics is a good way to remember what has been learnt and so getting them to discuss or describe what they have been revising is effective (see PQRST in the attached handout), equally a voice recording on their phone means they could be listening and revising and no one would ever know! We have attached here two recent hand outs on Effective Revision Strategies (1) and Parent Revision Pack 2015 which contain elements of this summary if you want more detail. The Weald and Oxbridge: bucking the trend? The evidence suggests that students in state schools are less likely to get into competitive universities, especially Oxbridge. 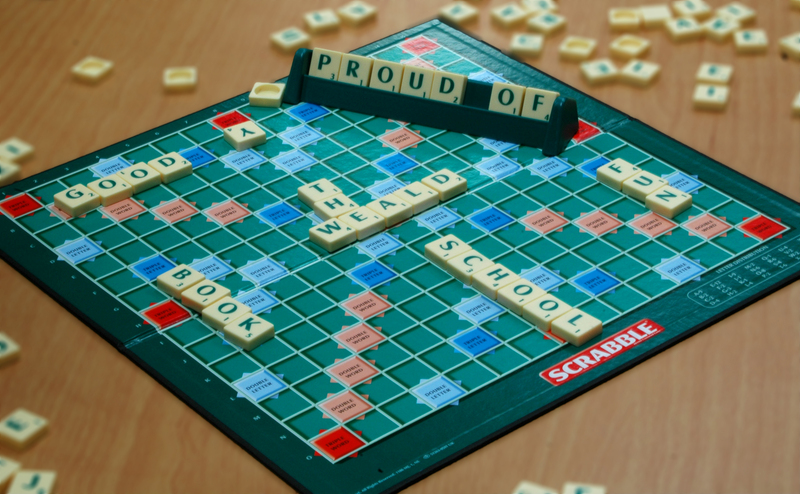 Yet in 2014 40% of Weald students progressed to Russell Group universities and over the last 5 years students have consistently made successful applications to Oxford or Cambridge. Whilst their experiences apply directly to Oxbridge application it is interesting how their stories contain messages for us all. All 3 students were clear that their awareness and research started well in advance of application. There is a blunt reality that they knew their GCSE results put them in a strong position to consider applying to the country’s top universities and this was further emphasised by great AS results. Hard work towards aspirational targets will be something all our students are familiar with. However this was not the whole picture, involvement in wider school life at Key Stage 3, 4 and 5, holding positions of responsibility and wider community involvement all created an impressive combination of academic success and broader skills and attributes that made them distinctive. This was not done at the time with a view to Oxbridge application but was a product of a pro-active and outward looking personality, something we encourage in all students. A willingness to try new things led to taster days and summer schools which opened their eyes to the opportunities that were available. ‘Proper preparation’ reflects all available advice and was a consistent message from all 3. This ranges from visiting a number of colleges to determine the differences and identify the one that was the “right fit”, to exploring the actual city and the extra-curricular opportunities that are available. It is vital to feel comfortable that it is a place you could live for 3-4 years. Understanding the detail of the different courses will tell you if your interests are a good match for what is on offer. Knowledge of the admission process will reveal whether colleges demand additional examinations as well as a rigorous interview. Taking time to make sure your personal statement is the best it can be maximises potential for selection and is often the basis for interview. Success will depend on getting the right match of your skills and potential to the right course and college. Only informed research will tell you this, knowing yourself well and being honest about the choices, do not rely on gossip or on line rumour! It was interesting that all 3 students were very appreciative of their highly supportive parents, sometimes with experience of the system themselves. They also quoted dedicated teachers who provided additional subject tutoring out of hours, guidance with their application and personal statements as well as mock interviews. However, they did not feel these were the deciding factor in their success. As we shall see there is another vital ingredient that made the biggest difference but one wonders if on reflection there might have been factors at play over the last 5-6 (or even 17) years that they absorbed without realising. An aspirational environment with high expectations is undoubtedly more likely to lead to success for both individuals and organisations. A home environment that opened their eyes from an early age to possibility, providing positive challenges with an unrelenting belief that their ambitions were achievable will have provided them all with a magnificent springboard. Their previous achievements were accomplished in a school where students are set the highest possible targets and closely supported to achieve them, following curriculum pathways that ensure the greatest future choices. An aspirational culture from Year 7 ensures students are encouraged to step outside their comfort zone, experience personal challenge and show the leadership and community responsibility that sets Weald students apart from others. These may not have been the determining factors in their success but would have been a great place from which to start. So what was the magic ingredient that made the difference? Put simply: the students themselves. Lauren’s steadfast conviction that she wanted to be a vet led her to seek out the work experience and contacts that prepared her well for application and interview. For Tom and Benedict, whether the self-belief and confidence came quickly or slowly, both embraced the possibilities and took the initiative. They were all willing to attend summer schools and immerse themselves in an unusual environment, they were willing to put in the research to pick the right course and college for them and then willing to do the work that put them in the best possible position come interview and selection. No teacher or parent could do that for them. These are young people with a “why not?” approach to life and the self-motivation enough to make it happen. Unsurprisingly the truth is not as simple as the headlines. For many students in state schools there should be no reason why, with the right combination of ability, environment, support and self-motivation, they cannot aspire to the most competitive universities and careers. However, where this is not happening perhaps we all need to be honest enough to reflect which ingredients are missing and why. Ultimately these 3 students and their Weald predecessors deserve to be celebrated for their achievement. We are very proud of them, as we are every student currently working hard towards their dreams. Their willingness to aim high, accept challenge, put in the hard work and make the necessary sacrifices are testament to the very best in young people and an inspiration to us all. 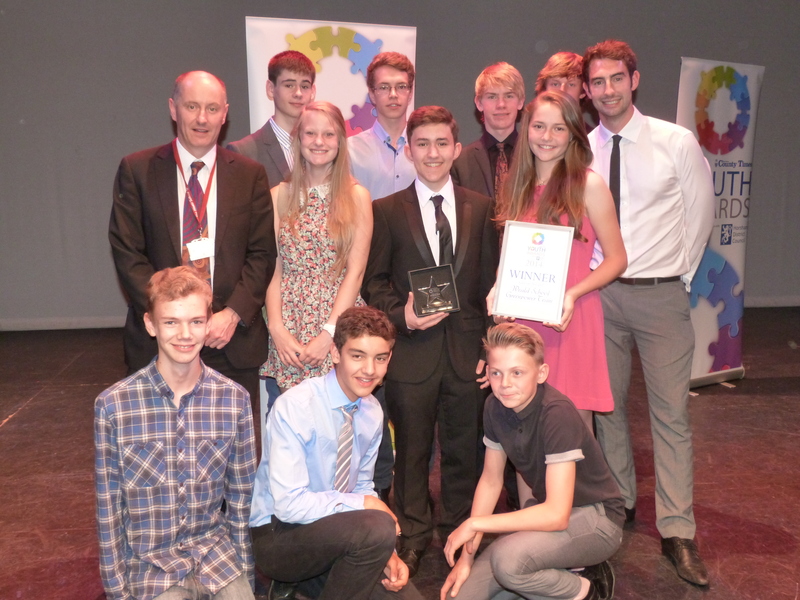 This post celebrates the achievement of our students in both a local, regional and national context. “Achieve and make progress…be willing to work hard to achieve the things that you want”. You will be familiar with this statement as one of the key principles of our community framework (Weald Framework summaryv3 2014-5) and it is fantastic to see it come to fruition in the article below. Students and staff were celebrating recently having been named as one of the highest achieving Sixth Forms in England, according to The Sunday Times Newspaper. Every year the Sunday Times publishes a league table of schools using their most recent results from the summer exams. 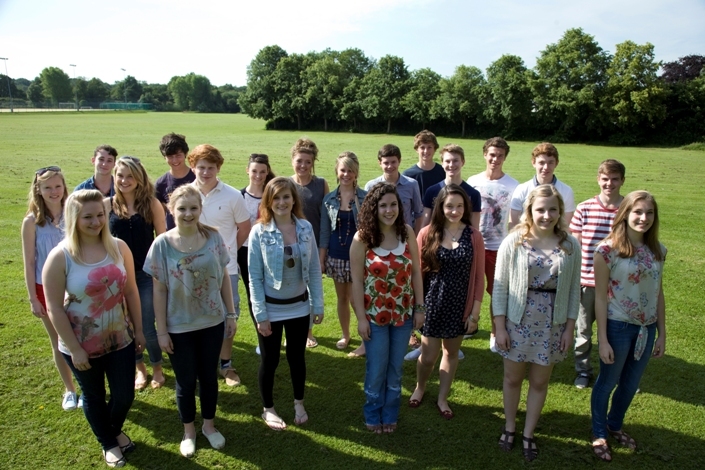 The Weald Sixth Form found itself in thirteenth place out of over 3,000 schools and colleges in England and Wales. Indeed, with all schools above it either located in London or the North of England, The Weald had the highest performing Sixth Form in the South of England. Our Headteacher Peter Woodman commented, “We were pleasantly surprised to see how well The Weald had performed on a national basis. The reality is that we do not particularly support the idea of league tables as schools can be ranked on so many different criteria. It is often unfair to try and condense the performance of hundreds of students into a single statistic. In this case, The Sunday Times had ranked schools on the percentage of A Level grades from A* to B. Last year our students gained 70% or more grades in this range. We feel it is more important that each and every student has made progress. This can often mean that as a school we are just as pleased when a student achieves a grade C, if this is above their target grade, as when a student achieves an A*. It is critical to us that every student here makes progress and this idea of value added is far more important than a league table that simply ranks the schools on attainment. 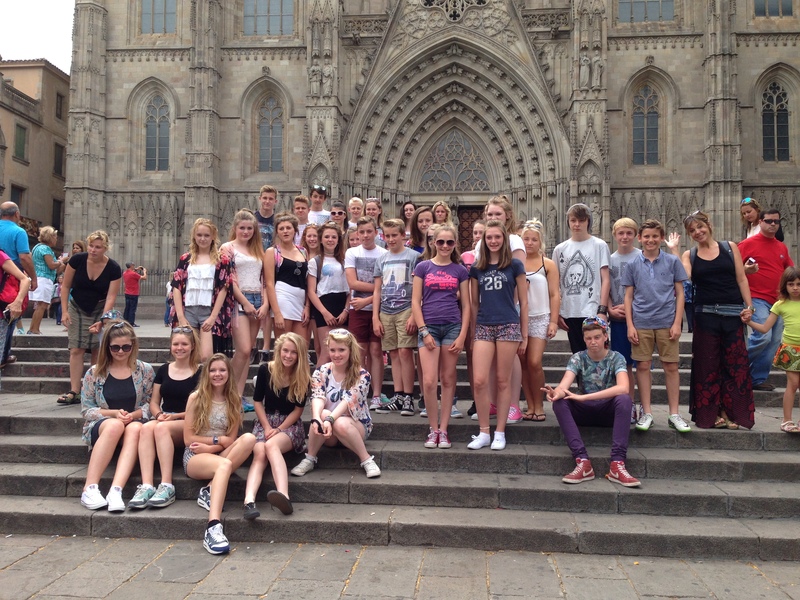 Whilst our attainment was very high, our value added was just as impressive”. 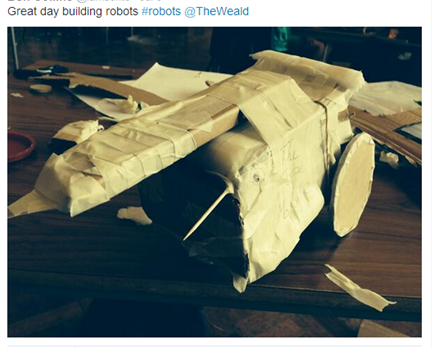 We often have reason to be proud of the students at The Weald and this is no exception. Through the hard work of the students with their staff and the support of parents they have achieved exceptional results and are excellent role models for the students who are following them. The success they achieve with us is a fabulous platform for their future choices. In 2014 86% were able, because of their success, to go onto University or other Further/Higher education. 38% of those going to University this year went to prestigious Russell Group universities (the same proportion as transfer from independent schools). This year, similar to previous years 5% of Year 13 have been awarded challenging Oxbridge interviews. What ever future pathway our students wish to follow we are committed to ensuring they are able to achieve more than they might have thought possible. They take their next steps into the world knowing that whatever they dream of doing or being; through their own hard work and commitment they are more than capable of making those dreams come true. Whilst on a short walkabout from my office one morning this week I encountered an eclectic range of aspects of life at The Weald. I passed the displays and celebration of reading in the LRC as well as the student librarians who were enjoying an end of year breaktime feast. I enjoyed the very healthy looking vegetables that are growing in the beds outside my window thanks to Mr Dixon’s gardening club and I made my way to the busy hub that was Radio Weald in full flow during 10 days of broadcasting. There are so many things to see and do in a short walk in any direction around the school but it struck me this morning that this diversity showed something very special about the students who bring the school to life every day. Tomorrow morning at 9.00am, 250 students marked their own special end of the year, Darwin students enjoyed the morning in pure celebration of their efforts to claim the coveted House Cup. It is a well-deserved celebration but right across the school there are students who have had a brilliant year and have been rightly recognised and rewarded for their efforts and achievements. This blog will give you a flavour of the assembly on Friday which celebrated how much students have done and the wide variety of activities that take place and contribute to the totals behind the House Cup. We started with a summary of the vast array of activities they have been involved in. From music concerts to art exhibitions, Greenpower car to Drama performances, photography competition, Student Development Day, ACE we ek and Gold Awards. Newly appointed House Captains oversaw Sports Day and Radio Weald has provided the soundtrack to our end of term. These photographs following are a sample of the student entries to the photography competition, including the one at the top of this page by Evie Drennan. By the end of this week all students will have contributed to the celebration of Mandela Day. I have seen students being kind and helpful as a deliberate act. Others volunteered for litter picking, taken time this week to write thank you cards to people who have helped them, sent postcards to imprisoned human rights campaigners, donated to charity shops, sponsored desks in Kenya and one form have even adopted a snow leopard! Our Weald Frame work forms the basis of how we work; the values and attributes we develop in our work and with each other. The House Cup recognises all aspects of this and rewards each individual contribution. Every house point, weekly quiz entry, book taken out of the LRC. Every Commendation counts and all 100% attendance or Weald Community Certificates make up the totals that lead to the House Cup. We award House Points for the values we want to see: enthusiasm and engagement, resilience, achievement and progress, community contribution and consideration of others. It makes us very proud to note that this year over 57,000 house points were awarded. All houses did well for ‘achievement and progress’ but Austen House just tipped it. Wilberforce House was top of the table for ‘enthusiasm’ and also for ‘resilience’; Darwin House made the greatest ‘contribution to the community’ and were also by far the most ‘considerate’ house based on these totals. There were an impressive number of commendations earned on tracking and this time it was Elgar House, last year’s winners who topped the table. They also collected the greatest number of Weald Community Certificates. Greatly valued by the school these awards represent an acknowledgement of students who maintain 95% attendance or better and also perform well in terms of behaviour (6 logs or less over the year), again we are very proud to note that 303 students received one of these over the term which is 30% of the Year 7-10 cohort. For 100% attendance Wilberforce House had the greatest number of students who have been here every day over the course of the term. A collec tion of our larger cups were also awarded in Friday’s assembly and both the Sport and Culture Cup and the Sports Day Cup went to Wilberforce House this year. The overall House Cup for the summer term went to Darwin House and when all points across the whole year were totaled it was Darwin House who were the 2013-4 Champions, you can see from the photos that their reaction was spontaneous! The central message clear to all is that everything you do counts. Any student, in any year at any ability can make a difference. And they do. Every day Weald students engage, enthuse, work hard and show resilience, they are compassionate young people who make a valuable contribution to their community. We are incredibly proud of them. There is no doubt that by external measures they do well, they make progress and achieve highly. That is important. They are among some of the most interesting, kindest and often funniest young people I have had the pleasure to work with; they make a difference every day and are the reason we are so very #proudoftheweald. Wishing all Weald students and their families a very happy summer break. ACE, in this context, stands for “Alternative Curriculum Experience” but the 2014 edition of this Weald extravaganza showed that it also held true to the alternative meaning, with some fantastic student and staff feedback this year. 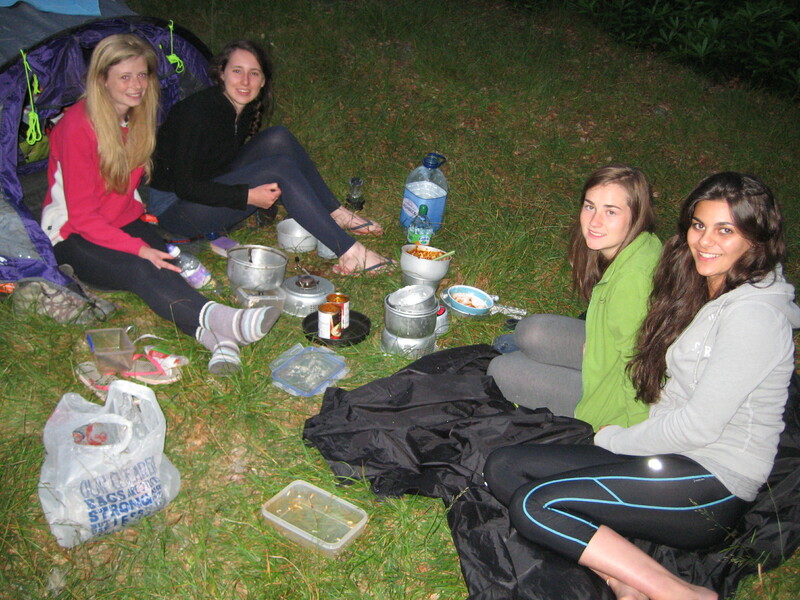 ACE Week gives our students a chance to attend residential trips, try new skills, attempt a new challenge and generally have fun whilst learning beyond the confines of the normal curriculum. We believe this gives our students the chance to really show that in any context, country or collaboration they really can achieve more than they first thought possible. A vital part of ACE Week is to give students the opportunity to face a fresh challenge by learning something new. It is also integral that they enjoy the opportunity to try something that lies outside the normal curriculum and helps to develop them as an all-round person. 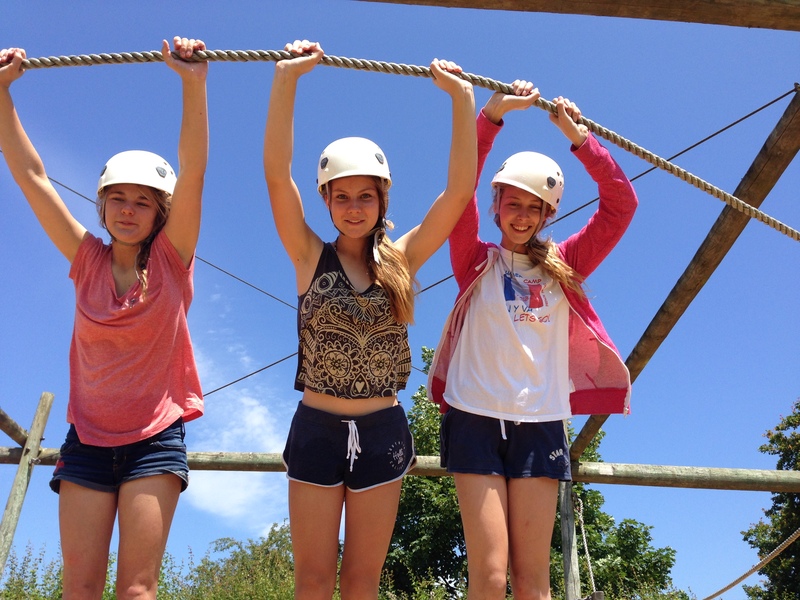 The activities mentioned above were all organised by staff at The Weald School and they represented a wide range of activities that most of our students have never attempted before. Some of the pictures below show just how much those objectives are fulfilled, no matter what the activity. The creativity and technique of Masterchef? 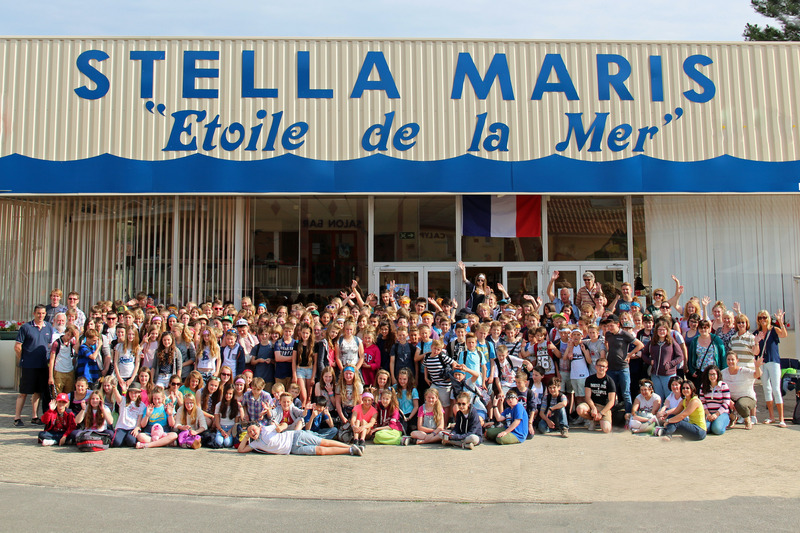 The tone and mood around school was particularly positive last week with lots of smiling happy faces, we loved seeing the texts and tweets coming in from around the country and Europe as they shared their adventures. Students enjoyed the opportunity to attempt new challenges. 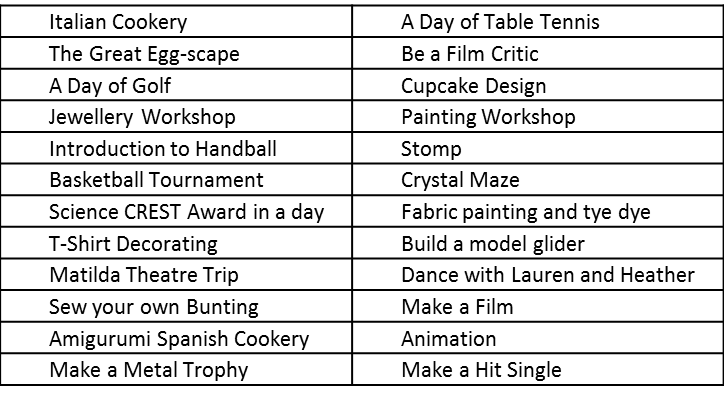 At the end of Ace Week we conducted a student survey and 80-90% of the students on each activity stated that they either “enjoyed it” or “really enjoyed it!” and the vast majority said that they had learned something new on each day. So – Let us know! What did you learn? 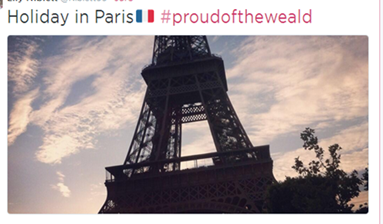 Why are you proud? Five Years in One Week: Our Crowded House moment. “I think I might enjoy it here”…. said a relieved and happy Year 6 student last week. It was quite a week at The Weald last week, not quite “four seasons in one day” but getting there! 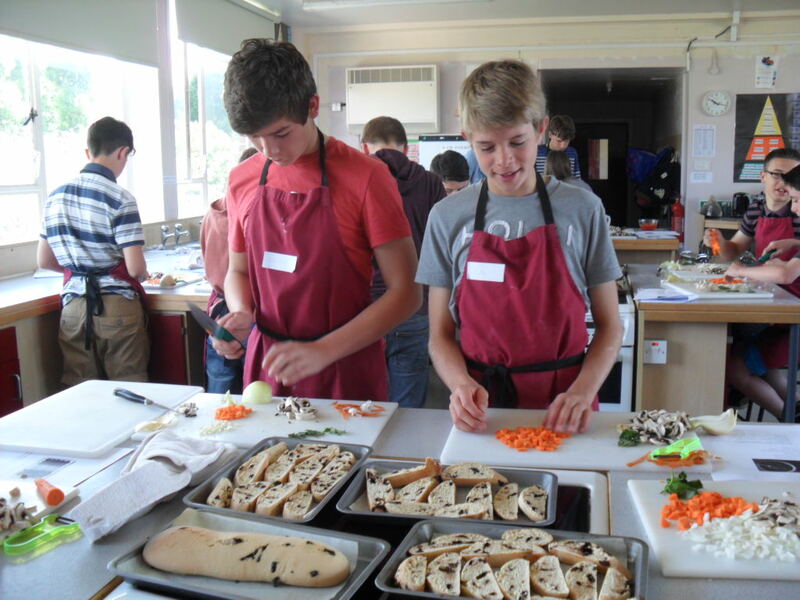 270 Year 6 students spent the day with us on Tuesday as they immersed themselves in the secondary experience. They spent time with their new form tutor, had break and lunch in their new environment and loved their new experience of learning and lessons in “big” school. The feedback was fantastic and showed us that as we had hoped, they left feeling reassured and safe, excited and a little challenged. Meeting parents the following evening was equally delightful as we explored the new relationships that will be formed over the coming year. Year 6 will fast grow into Year 7 and then emerge, like butterflies, over the next five years into the young adults they will become. It is a fascinating journey, this evolution into adulthood and not one for the fainthearted! Ms Furse explained a great deal of the practical arrangements for next year to parents last week, but the most important aspect she touched on was the vital relationship between parents and school. Raising teenagers is a rewarding but sometimes challenging responsibility. There is a critical role for all adults involved to hold the young people at the forefront of all that we do; maintaining the core relationship between us, even when it becomes difficult. We are, as ever, so grateful for relationships we have with the large number of positive and supportive parents in our community. 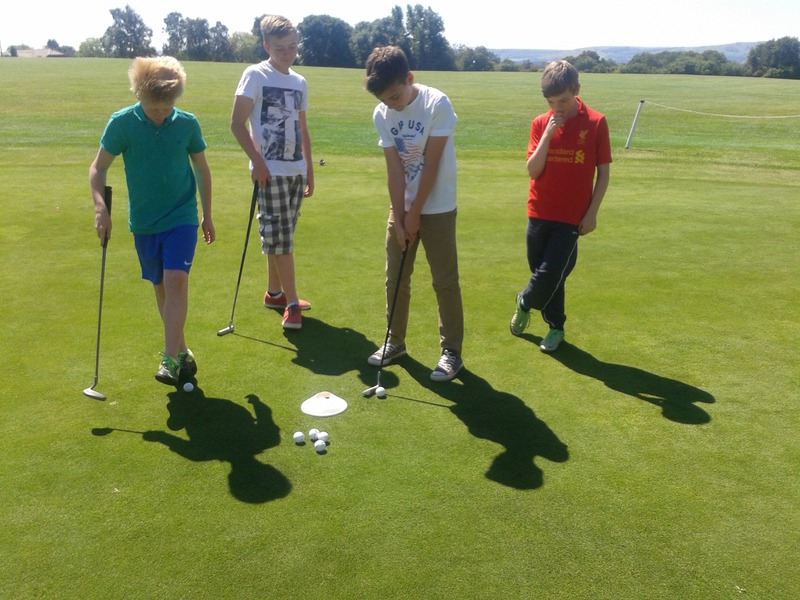 At this time of year we focus on helping Year 7-10 prepare for their next step in September, be it new option choices, new skills to learn, clubs to join or people to meet. We value working alongside parents to enable this process to go as smoothly as possible; working together to understand and resolve questions wherever they emerge, encourage and create opportunities as well as celebrating the successes in a wide variety of ways. 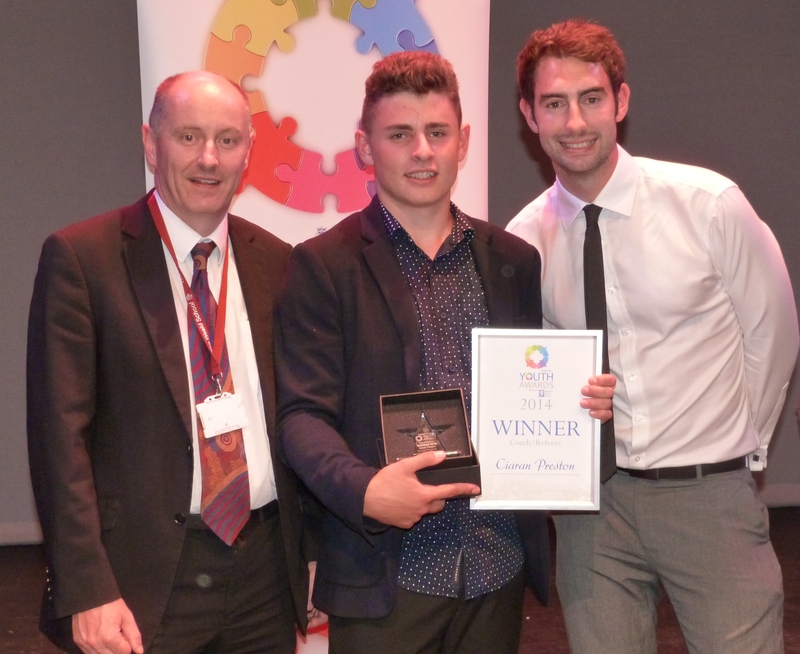 the success of some key members of our community last week in the first ever West Sussex Youth Awards ceremony held at the Capitol Theatre in Horsham. Our leadership schemes involve over 550 students in 17 different strands across the school, we know what fabulous leaders our students are and how hard they work for the great benefit of others both inside the school and in our wider community. They are a fabulous advertisement for young people and it is wonderful to see them being recognised on a wider stage. The stage widens now for Year 11, as it has already for Year 13. A large proportion of our students choose to return to us in September and move into the Sixth Form but for some Signing Out Day marks the end of their time here as they move onto their future lives in training, employment or other education. more photos on the website! It made for a clear contrast between the very adult and glamorous Year 11 and the still quite young and slightly nervous Year 6. Five years difference seen in the space of 3 school days. How quickly that time flies! How important then to grasp every opportunity, to work together to encourage our young people to make the most of every challenge; to learn as much as possible and achieve more than they may first have thought possible. Teenagers, Parents and Social Media. Barely a week goes by it seems, without hearing dire warnings of the increase in use of social media by teenagers. A simple Google search invariably produces headlines with language such as “toxic”, “torment” and “illicit”; enough to strike fear into the heart of the most resilient parent. Yet children as young as 8-10 years old are increasingly demanding access to this on-line world. Many argue it is our responsibility as the parents and adults in their lives to allow them to navigate this world in the safest and most positive way possible which is not an easy task when many feel they are playing catch up with their children, trying to understand what it all means. We were delighted therefore that last week a significant number of parents gathered at school to share ideas and talk about the highs and lows of their experiences with “Teenagers and Social Media”. We explored the appeal and very positive uses of a wide range of social media before looking at the more negative and potentially alarming outcomes including how best to prevent problems and safeguard our young people in their on-line environments. The basic appeal of Social Media at this age has clear roots. Our individual needs to be acknowledged, to be valued and to be part of a group are heightened during teenage years. Social networking sites provide a fast and effective way to give and receive attention. At a time when young people are in search of their identity in relation to others around them, many sites revolve around the ability of an individual to build a web “presence“, to be seen and heard by their own age group. Research tells us the direct influence and validation from family decreases at this age in preference to peer group. The smartphones that we give them access to allow them to do this via messaging, email, photo sharing, game playing, blogging, music and a range of other on-line communication. How many do your son/daughter use? Many great stories and interesting examples from parents showed that the use of on-line programmes and social media is not all bad and many teens use it for hugely positive and empowering purposes. We have seen young people’s skills and talents used for creative expression online; blogging that gives an empowered voice a potential audience; significant charitable commitment that makes a real difference. Applications that engage and fascinate them can also develop and enhance valuable skills. In juxtaposition to this though are the well documented dangers if the same apps and programmes are not used with sense and understanding. Cyberbullying means harassment and mistreatment can be overpowering, when ever-present, courtesy of a smartphone. Naivety about “friendships” and online identities can leave our young people exposed and vulnerable. PC Keeley was present to take us through these issues from the perspective of the police. She highlighted, through the CEOPS (Thinkuknow) video “Exposed”, the dangers increasingly faced from sexting and the devastating consequences this can have. As a school we have had to manage the fall-out from incidences of this, not frequently but more than we would like and it prompted some strong views from parents. Some were keen to stress the guidance we all should be giving to our young men around relationships and respect for girls. Equally, others were keen to point out the sexualised images that girls often present of themselves as ‘profile’ pictures, seeking validation for their adult appearance and seemingly accepted and condoned by parents and peers. Agreement centred on the need to support and develop self-esteem in all our young people, encouraging mutual respect and safe behaviours in all respects. Parents seemed committed that we need to involve ourselves in their on-line world because they are still children and we are still the adults. We a have a clear view on the safety of the real environments we allow them into and our responsibility to know who they are with, when and where … the same is true of the virtual environments. How parents do this will completely depend on their own value set and parenting style; ranging from agreement and negotiation through different degrees of monitoring to control. Examples of all forms of approach were discussed. It was enlightening to hear the animated discussion as anecdotes and ideas were shared. Parents shared tips on how they had negotiated access with their teens, applied locks or passwords on devices, through to shared agreements for use of devices within the home. However, there was an acknowledgement that teenagers often liked to use apps that parents had no knowledge or use of …… “How can I manage what I don’t understand” was the anguished cry! This is where our wonderful peer mediators and sixth formers came to the rescue. Equipped with their own devices and websites, the students were able to show parents their own use of apps ranging from Facebook to Instagram, Snapchat to Whatsapp. They opened up their accounts to show how it worked, how they locked down their settings and how they protected themselves from unwanted “friends”. They told tales of how young people often work together to protect each other and how they themselves had negotiated their online use with their own parents. One strong yet simple message that came through the evening and the conversations overheard was that this was really about relationships and communication. The relationship we have with our children as they naturally push to negotiate the boundaries towards adulthood as well as the relationships they establish for themselves in real life and online. Just as we helped them learn to ride a bike or navigate their first days at school, now they want to develop their independence on or off-line, the fundamentals of trust, honesty and respect are paramount. They will inevitably make mistakes and might make poor choices but with the guidance and support of all the adults around them, they can learn from them and hopefully stay safe and healthy. We finished with a clear and simple message that is applicable to us all! Many thanks to all parents and students, who took part in the evening, please follow this link to our website for samples of hand-outs and guidance issued on the evening; help and support available through school and online as well as links to more information.